Injuries, attacks, assaults and other crimes while in the care of a foster home can be quite devastating. Foster home abuse often has lifelong negative effects upon a victim. Many foster home abuse injuries are the result of improper or negligent supervision of foster parents, as well as negligent and improper background checks by agencies regarding foster home placement. Depending upon the circumstances of the foster home placement and the suspected foster home abuse, an action may be brought by the victim against the responsible parties. Suffering foster home abuse as a result of negligent supervision of foster parents, or the negligent placement of a foster child, or the failure to monitor a child in foster care, can be the basis for a foster home abuse claim of recovery. The failed supervision, failed background checks, sexual abuse, physical abuse and foster home neglect are all issues quite common in this type of litigation. Often these foster home abuse claims involve the placement of children by The Department of Children and Families, the state agency in Massachusetts responsible for protecting children and helping troubled families. This agency generally investigates all reports that a child may be at risk of foster home abuse or neglect, arranges for adoption of children, and provides services to these children and their families. It may even pursue court intervention, seeking permission to remove children from a troubled home if children are risk of foster home abuse or neglect. Often when a child is removed, there is a stipulation that the family accept services from this agency as a condition of the child being returned to his family. Also, this agency acts as a licensed child placement agency and may place children in foster care, either voluntarily or through a court order. 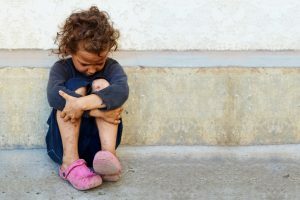 In deciding whether to pursue a claim, and The Department of Children and Families are involved, then often litigation centers on documentation gathered by this agency in support of any type of abuse claim. In Massachusetts anyone can report foster home abuse to The Department of Children and Families, and if action is taken by the agency, then often the reporting source becomes a critical part of any claim for abuse. The reporting source may have specific information relating to the case of abuse that may be required for agency intervention. Long-lasting emotional abuse, psychological abuse, sexual abuse or physical abuse can be the result of this negligence. If this occurs, an attorney representing a foster home abuse victim may need to present expert evidence of psychological or emotional damage. Medical records and foster home records are often reviewed to provide a satisfactory opinion necessary for proper presentment of a claim.